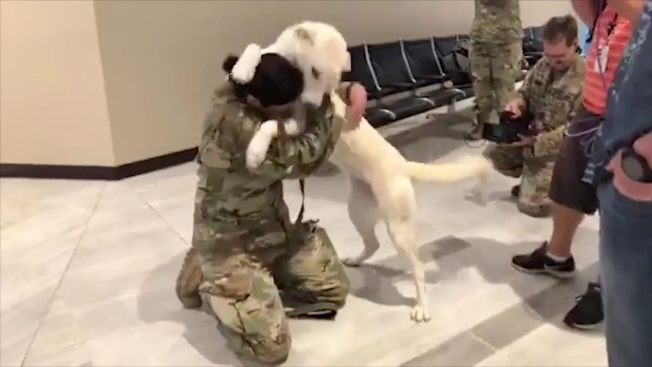 It was a reunion seven months in the making – and one that had tails waging and tears flowing inside a Florida airport. U.S. Army Reserve Sgt. Tracy McKithern reunited Wednesday with a dog she rescued as a puppy while deployed in Iraq in 2017. The combat photographer from Tampa met the pooch, who had been wandering with her mother around the U.S. base for weeks, while she was stationed in the Kurdistan Province, according to Department of Defense news release. The dogs appeared malnourished and abused by locals and quickly learned that they were not only safe near the base, but would be fed, too. McKithern, along with soldiers from the Italian and German armies, started caring for the dogs, the DOD reported. As weeks went by, their wounds began to heal and they gained weight. 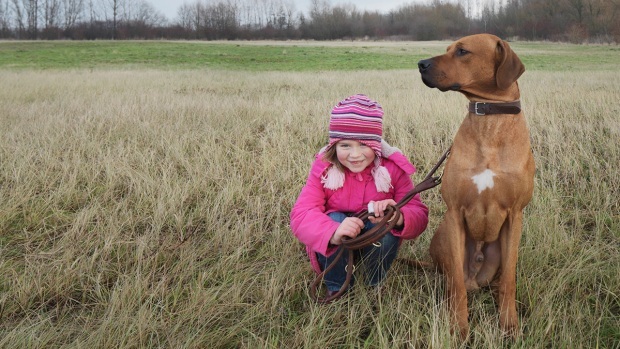 McKithern forged a special bond with the "sweetest little soul" and named her Erby after a nearby city in northern Iraq. "She ran up to our convoy every day," McKithern recalled. "She was so tiny she would fall and trip all over herself to get to us." As the end of her deployment approached, McKithern started to wonder how she could ever leave Erby behind when she returned to stateside. "One night I posted a pic of us on Facebook, with a caption that read something like, 'I wish I could take her home,'" McKithern said. "I went to sleep, woke up and my friends and family had posted links to various rescue groups. I reached out to one of them, the nonprofit Puppy Rescue Mission, and they responded immediately. We sent them $1,000 and they set up a crowd fund to get the rest. We needed an additional $3,500." With the generous help of strangers and fellow soldiers, McKithern was able to secure Erby's transportation to the U.S. But shortly after McKithern arrived back in Florida, she received orders for another deployment and was scheduled to leave on her new mission the very day Erby was slated to land at John F. Kennedy Airport. McKithern’s husband, Sgt. Wes McKithern, also a combat photographer, picked up Erby in New York and drove the dog home to Tampa, where pooch waited more than two months to be reunited with her rescuer. Video footage of the reunion at Tampa International Airport was posted on the airport’s Facebook page. In the video, McKithern can be heard asking Erby if she "remembers me," to which the dog confirms with excited wags of her tail. An emotional Erby jumps on the soldier and embraces her. McKithern told reporters at the airport that Erby’s mother is still in Iraq being cared for by coalition soldiers at the base and hopes that she can also be adopted and brought to the U.S.
Puppy Rescue Mission "assist with requests, logistics, administration and fund-raising for the adopted stray dogs of war rescued by and bonded with soldiers," according to its website.